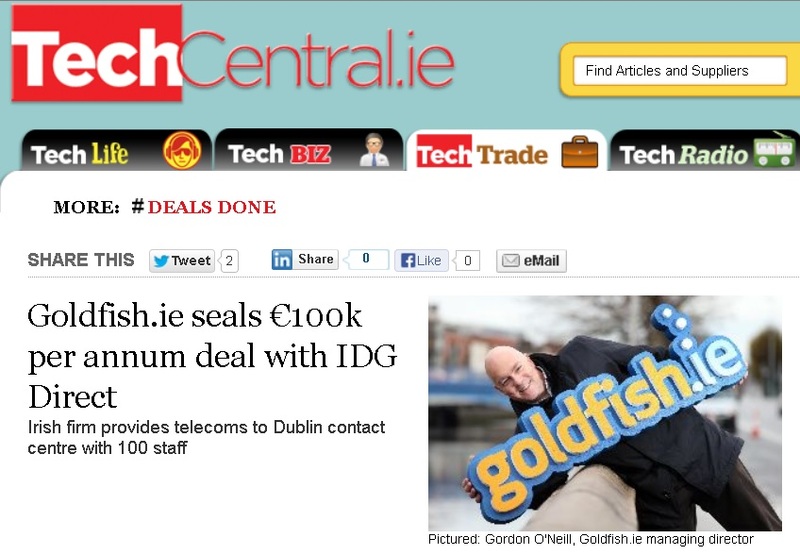 TechTrade | 05 Apr 2013 : Cloud business telephone service provider Goldfish.ie is to provide telecoms technology to IDG Direct’s 100 person contact centre in Dublin. The deal is worth €100,000 per year. IDG Direct has also purchased Goldfish’s QuVu contact centre management system to provide real-time data on the number and duration of calls put in by staff.